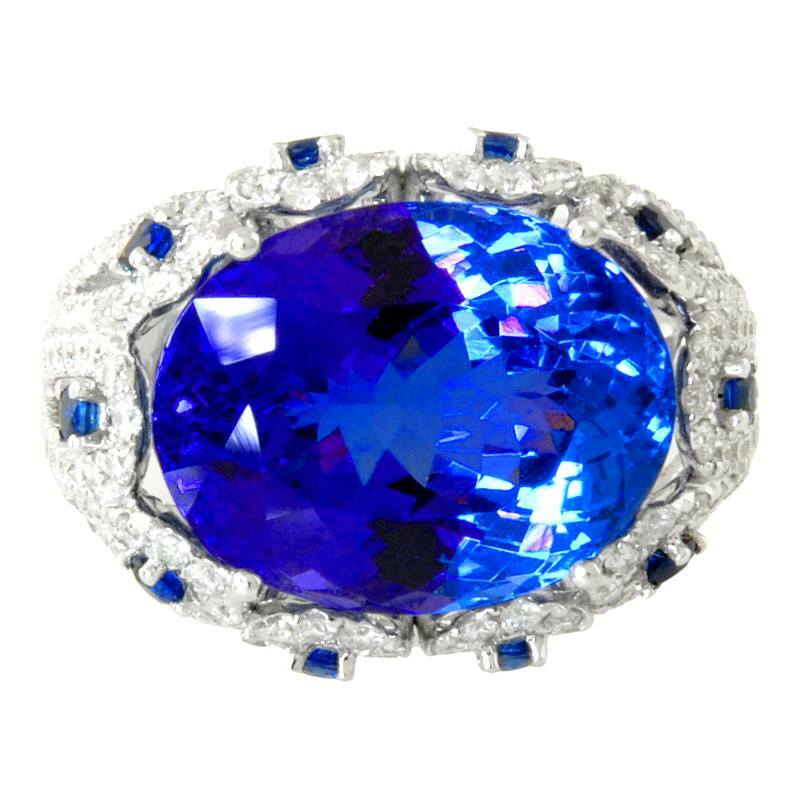 My favorite piece of jewelry at the Gem Collection is this incredible 10.79CTW Tanzanite ring. Tanzanite is an amazing and very rare gemstone that changes colors when light hits it at different angles. The masterful cut of this extravagantly large gem causes ripples of intense electric blue light to dance across the deep royal purple stone as one gazes at it from different angles. The Tanzanite stone is cradled by 18K White Gold, and adorned with 1.29CTW Diamonds and 0.36CTW Blue Sapphires that sparkle brilliantly in the light. Tanzanite was only recently discovered in the 1960’s in the small East African country of Tanzania, which is the only place in the entire world where Tanzanite can be found. Because of unstable political and natural conditions surrounding Tanzanite mines, there is a very limited supply of this highly sought after gemstone available on the market. A stunning Tanzanite stone of this size and quality is an extremely rare and valuable treasure well worth beholding with your own eyes.